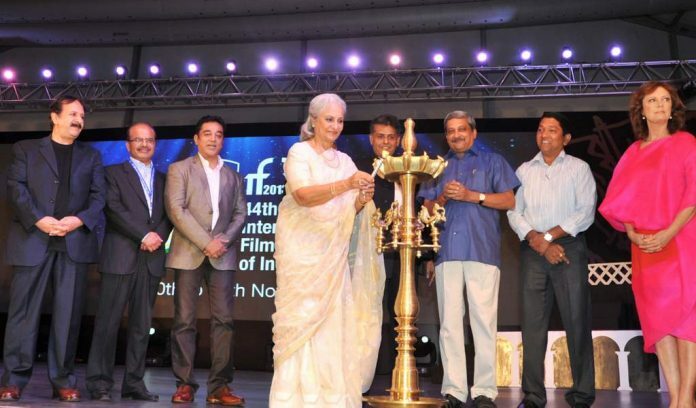 BollywoodGaram.com: Bollywood celebrities have gathered at the lighting of lamp ceremony at the IFFI 2013 held in Goa. 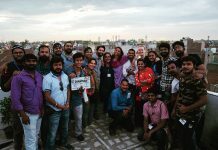 The event had the Minister of Information and Broadcasting Manish Tewari, as well as other prominent guests. 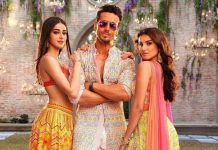 Celebrities who were seen attending the event included Rani Mukherji, Rekha, R Madhavan, Kamal Haasan and Asha Bhonsle. The event also saw Pandit Birju Maharaj, who gave a stunning Kathak performance. 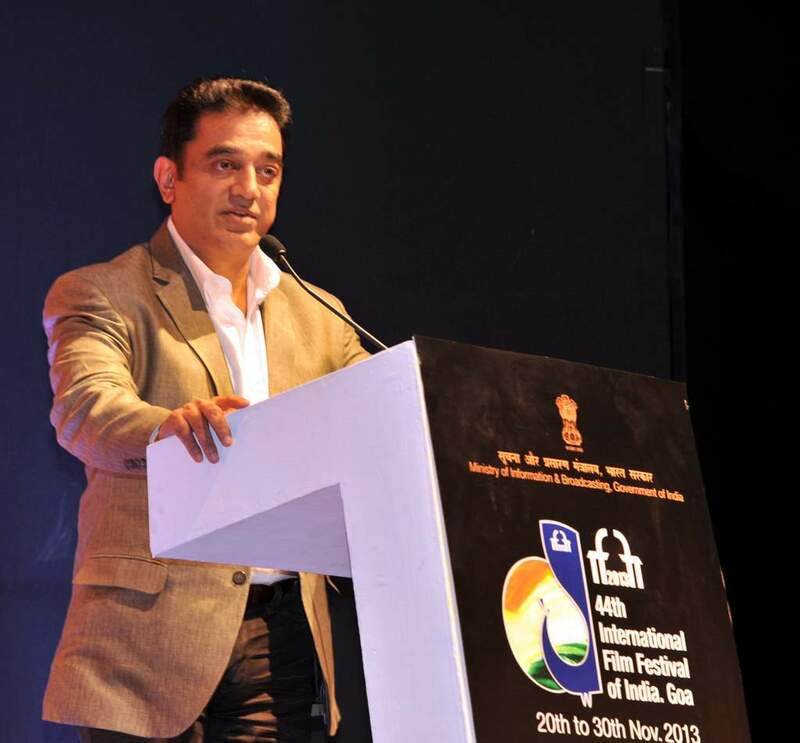 Haasan was the chief guest at the event and said that he has never been to a film school as he is a child of cinema. 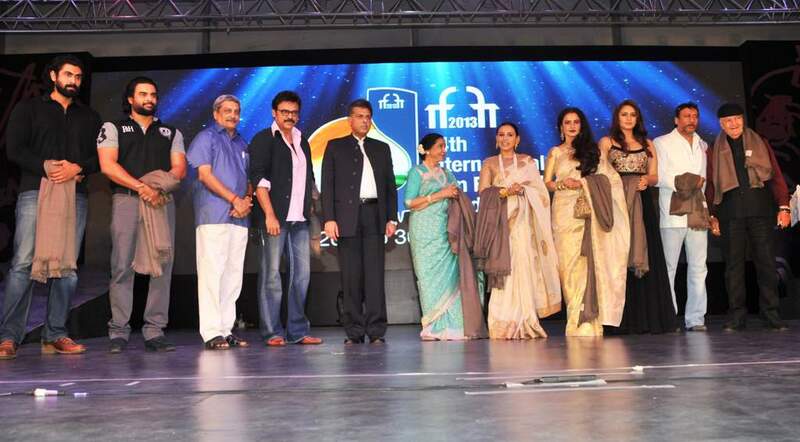 Pandit Birju Maharaj, Shobana and Ustad Nishat Khan were felicitated by Tewari during the opening ceremony.